Versatility in Color and Design. All Marmoleum floors now include Topshield2, a double UV cured finish. 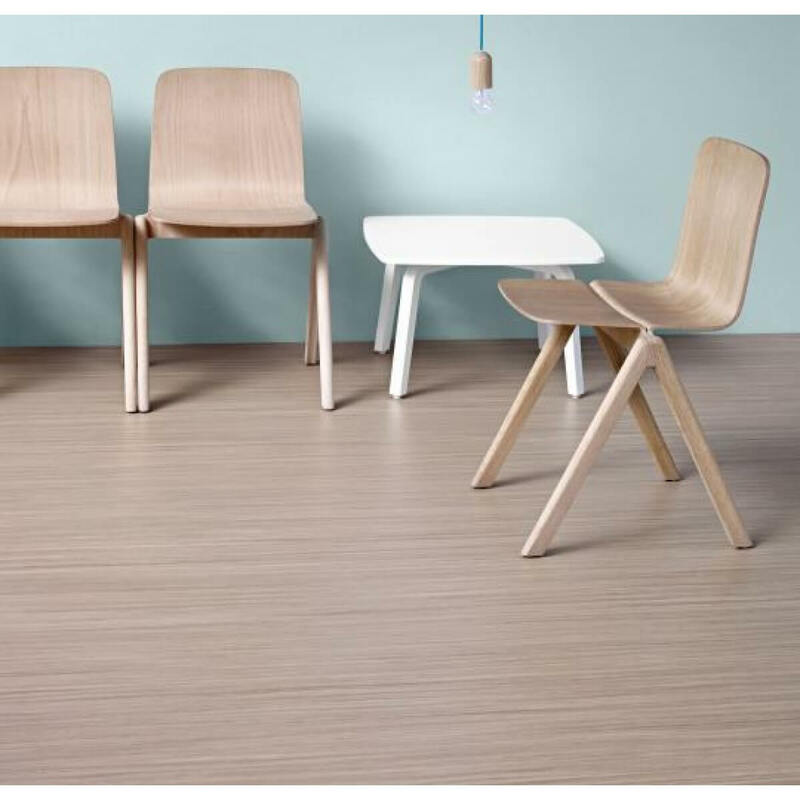 Our Marmoleum floors stand for versatility, sustainability, durability and now also for tactility! Embossing the linoleum brings the floor to life; it changes with every angle you look at it. 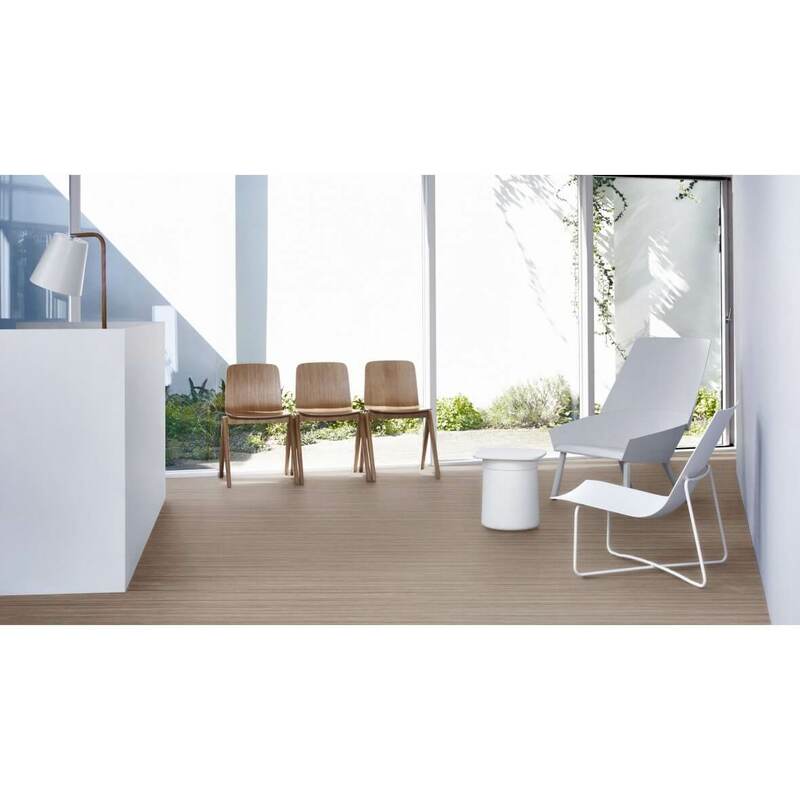 Marmoleum Striato Textura has all the benefits that our other Marmoleum floors have. Think about the natural ingredients (no phthalates, no plasticizers), the durability, the ease of cleaning & maintenance and the double UV cured Topshield2 finish. 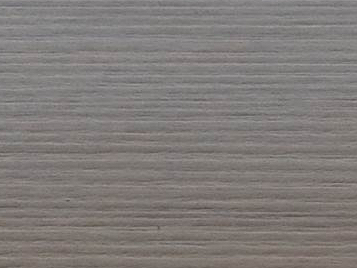 The embossing even helps to mask irregularities like dirt, gloss differences, indentation and subfloor imperfections. 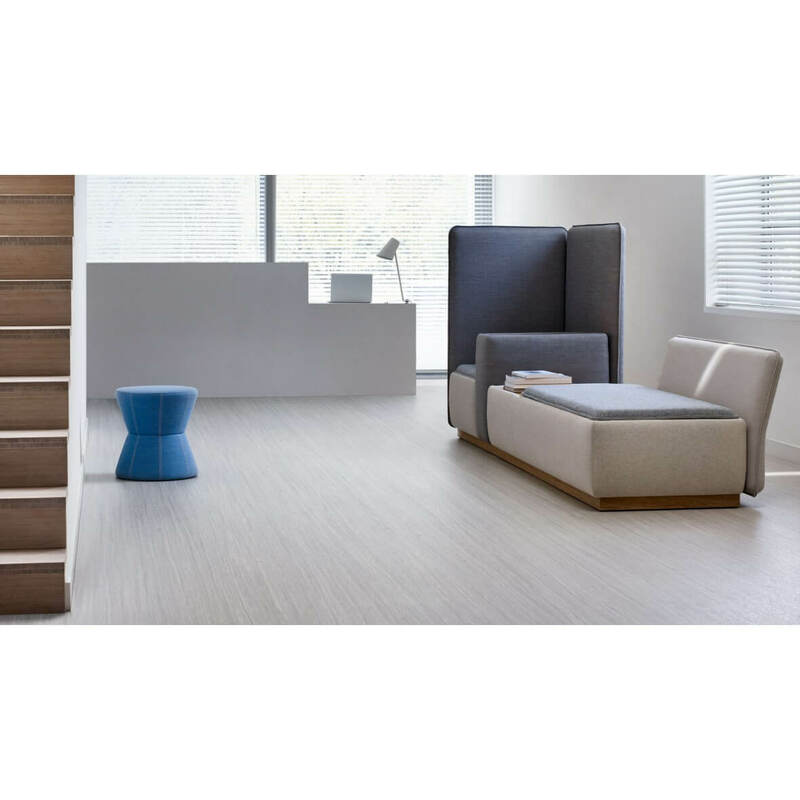 In addition, Marmoleum Textura scores well on slip resistance with a rating of R10. 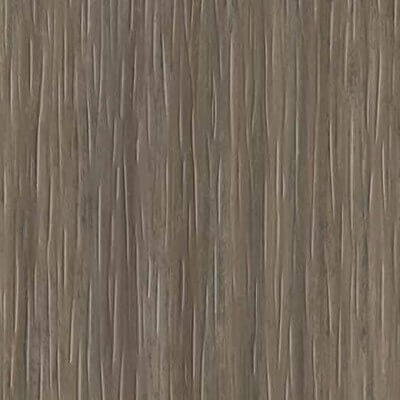 Marmoleum Striato Textura cannot be welded. This makes it not suitable for applications which require welding, like operating rooms. The flow embossing emphasizes the unique linear direction of our Marmoleum Striato design (which is the base design of Marmoleum Textura). The embossing brings your floor to life by changing the look depending on the angle from which you look at it and the amount of light that is reflected from the surface. 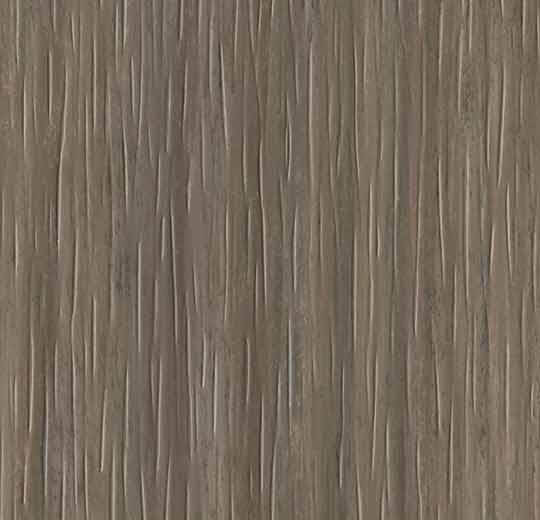 The flow texture is available in 3 colours (e5232, e3573 & e5231) that match the texture perfectly. 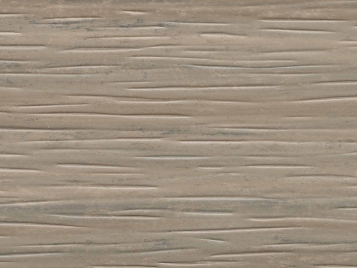 The driftwood embossing has a subtle texture and an abstract hint of wood in it. This gives the designs a homely and natural look & feel. 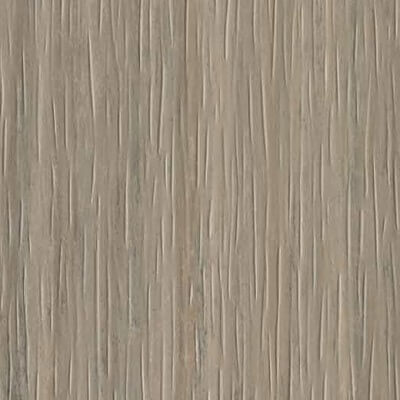 The driftwood texture is available in 3 colours (e5216, e5235, e5236) that match the texture perfectly. 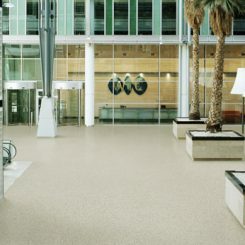 Green Building with Marmoleum has never been more beautiful. 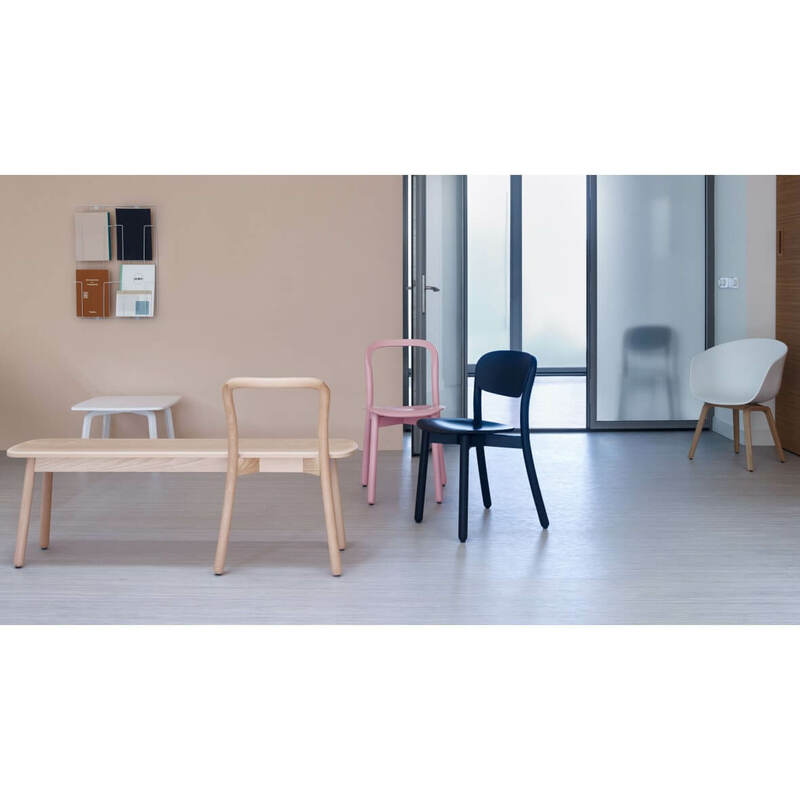 Forbo Marmoleum Striato sheets are made from some of the best stuff on earth: linseed oil, pine rosin, wood flour, cork, limestone, organic pigments and jute backing spun from renewable plants. 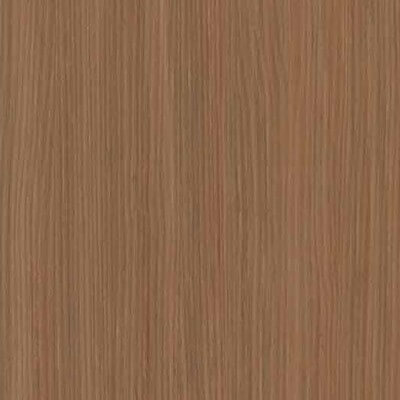 1 yard (79″x1.368′) $4.40 per sq. ft.
1 full roll (79″x105′) $4.05 per sq. ft.
Lots of people ask the simple question, What is Marmoleum anyway? First of all, it is a four syllable word that is slang for marbleized linoleum. Made from linseed or flaxseed oil, natural pigments, limestone dust, wood fibers and resins and then pressed onto a jute backing it is a great alternative to vinyl flooring. People who are sensitive to plastics and their off-gassing like it because it is not pvc or rubber and contains no acrylics. It also doesn’t require the use of volatile adhesives or contact cements to install it. 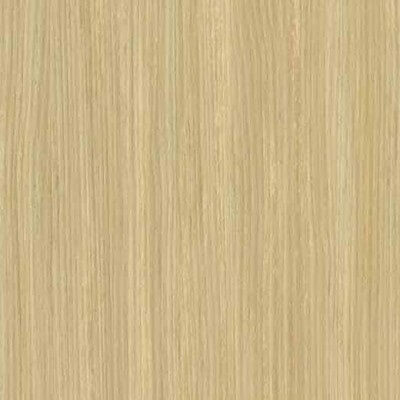 I ordered samples of Marmoleum and I heard that the color will be very different when the product arrives to be installed? 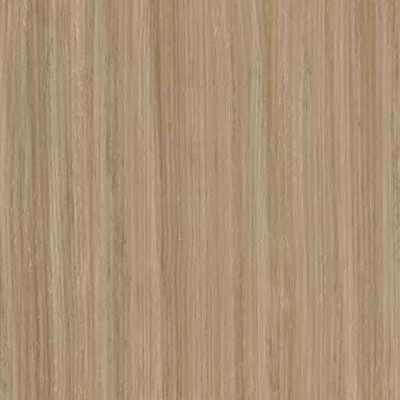 There is definitely some truth there since all natural linoleum flooring that was made with flaxseed oil has a natural amber hue to it when it is first made. When exposed to sunlight it’s color changes and it loses much of its amber hue. For instance, many of the blue colors will look green initially and when the amber-yellow cast fades they become the true blue color of the samples. A lot of folks get totally freaked out by this but it is not necessary to get crazy and the color will definitely change over time. Are Marmoleum Click Tiles and Planks easy to install? When the product comes out of its boxes and is allowed to acclimate for 24 to 48 hours, it has become stable in its final dimensions and is ready to install. Starting with one row against the long wall is an easy way to start. Once that row is complete and blocked into place, you can start to add complete rows by tipping them into place. No tools are necessary except maybe some wedges to hold them up at an angle prior to snapping into place. It is important that the products finished surfaces touch each other perfectly before it is pressed down into place. 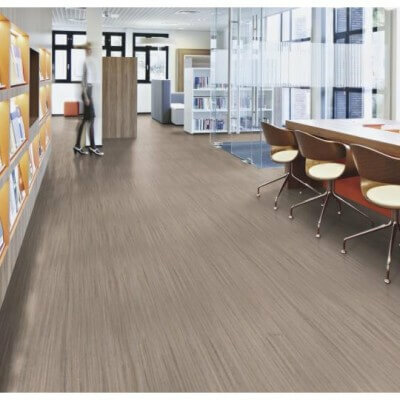 While the general practice is slightly different than the official Forbo Marmoleum Installation Guide, few people have trouble installing this flooring. Generally, a jigsaw can make all the cuts but a tablesaw, chop saw or handsaw may come in handy in different situations. Undercutting door jambs and trim and using shoe moldings at the perimeter will make for the most professional installation. 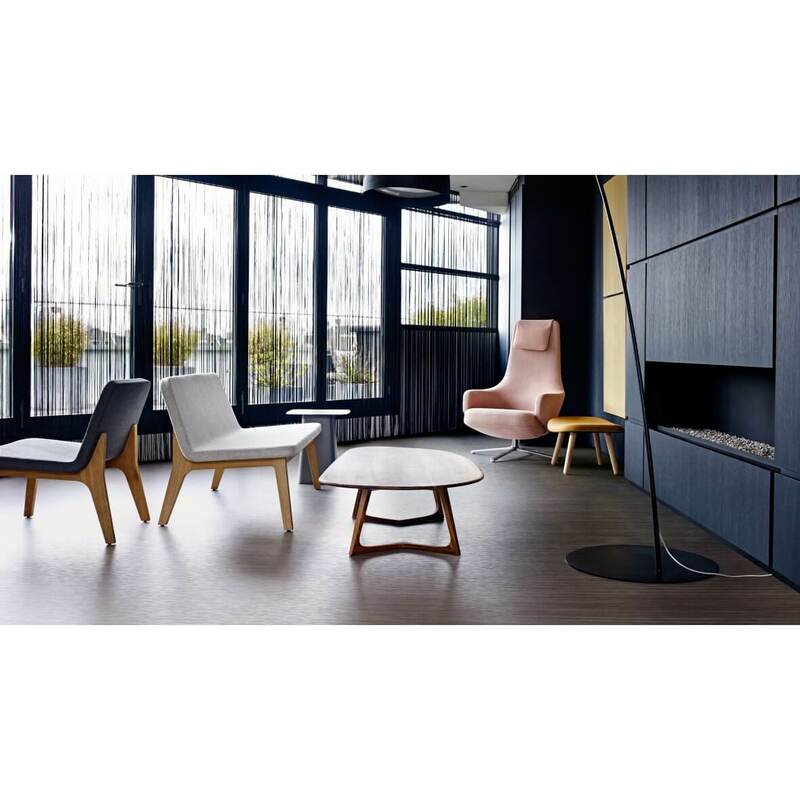 How can I get the best deal on natural flooring products? Many local flooring stores do not carry Marmoleum but if it is available locally, we are sure that the local stores will appreciate your business. Be sure to contact us before a purchase to find the best price and to get an estimated time of arrival for your product and a stock check accross our 4 warehouses. 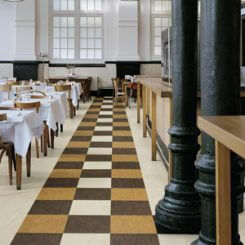 Marmoleum click is cheap or inexpensive when your calculating installation costs into the mix. It can be installed in many different configurations and can be installed like any other floating floor. New Click II with the brown core fits tighter together than the old green core Click Classic which needed to be installed with a tapping block and a hammer while the new click does not and is tool-less. In fact, using a hammer and block of wood can damage Click II pretty easily. Seaming on the new Click II is so tight it is hard to see where the product joints are once it is installed. On the odd chance you found some quantity of Click Classic it WILL NOT marry up with the Click II. How do I estimate the cost of flooring materials? Click Tiles and Planks: At approximately 12″ x 12″ squares and 12″ x 36″ planks they are 7 pieces to the box, so boxes are approximately 7 square feet and 21 square feet. Loose pieces are generally not sold. Click can generally not be easily installed on 45 degree angles because of the way it locks together. Glue Down Tiles: At approximately 13″ square, the exact number of tiles can be confusing if you are using graph paper with 12″ squares. MCT comes in boxes of 45 or 54 square feet and the thicker Dual Tile comes in boxes of 45 or 54 square feet but also in boxes of 9 for mix and match color floors. Also, available in 20″ tile the Dual Tile comes in boxes of 54 square feet as well. Sheet Material: Not considered a DIY or novice product, 79″ wide sheet material estimating should be left up to the installer. Since the product is very, very heavy and must be handled with specialized equipment when taken off the truck, it is uncommon to order it without the installer involved. NOTE: Be sure to leave yourself some extra when estimating since getting more product in the exact same color lot can sometimes be impossible. 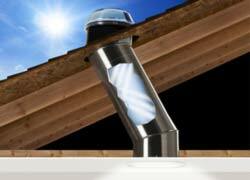 What questions should I ask in order to find an installer? There are no hard and fast rules, but it takes a certain person who has pride in their workmanship and in their abilities to be able to install Marmoleum. It also takes a person who has been trained in the Forbo school or who grew up under the wing of an old time lino mechanic, because the product can be very technically demanding to install. 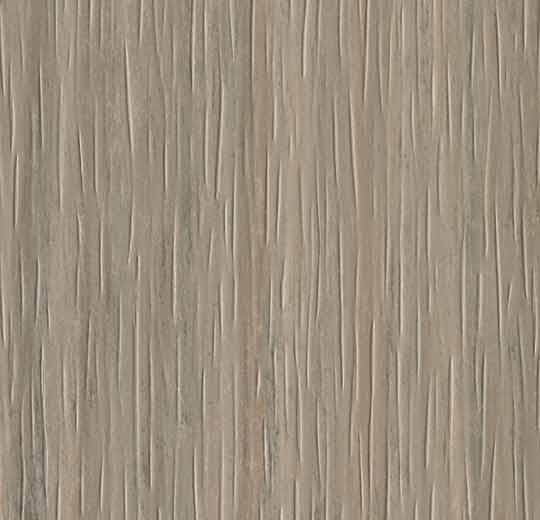 If an artisan has a respect for math and science then they will be much better technicians, since there is really no way to get lucky or to fake it when installing linoleum products. Setting index lines, making patterns, having the right tools, knowing how to scribe fit and heat welding are all elements of the job that take a lot of practice to get right. Can I install any of the three types of Marmoleum myself? 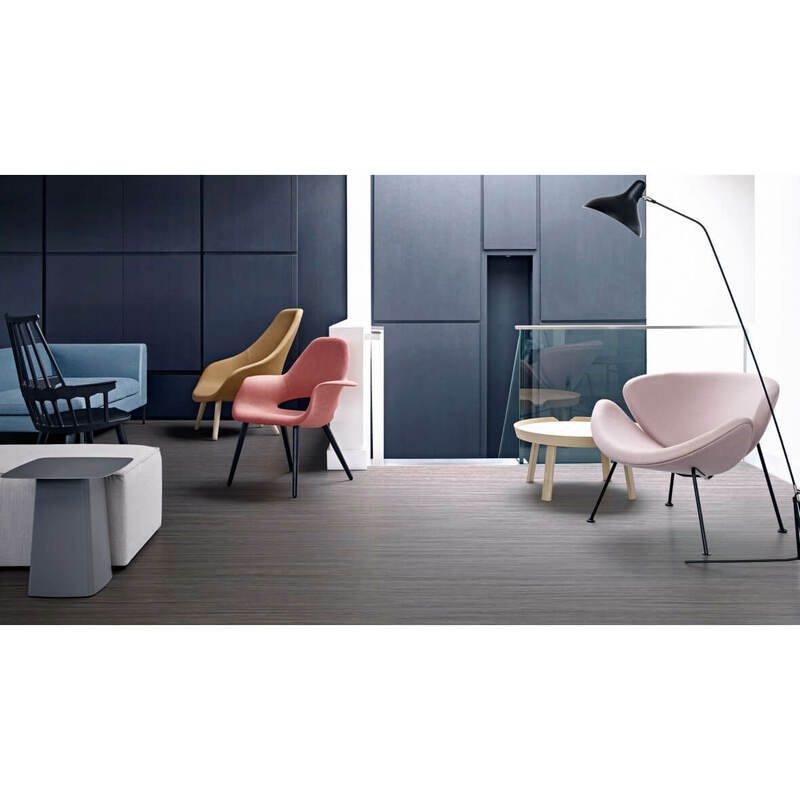 MARMOLEUM CLICK: This product is very similar to the other floating floor products on the market but with a few small exceptions. The Click II does not install with a tapping block and hammer, in fact if you try you will damage the product and it may leave bulges in the seams that can not be un-done. 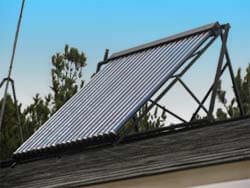 The floor is installed best by installing it in full and complete rows with the first few being the most important. They must, when completed be blocked in place with solid spacers against the walls and at the ends to prevent the beginning portion from moving. It is also critical to come back when you are done and remove those spacing blocks at the perimeter so the floor can float horizontally. Being a “tool-free” installation means that each of the rows are simply slipped into the row before it but up at an angle. When the row being installed is raised up and the linoleum faces from the rows meet, the product will engage and snap together simply by pushing down. It is VERY important to only push down once the pieces are tight up against each other which may require a little practice or the help of a patient and adaptable helper. Really only one person can lead the click-in process and it must be gradually and carefully to prevent damaging the material. After two or three rows, people become experts. Undercutting door jambs and trim, cutting the L and flag shaped pieces around doorways, locating field seams when necessary and snapping in the very last piece of the puzzle take some head scratching and can perplex the impatient installers. 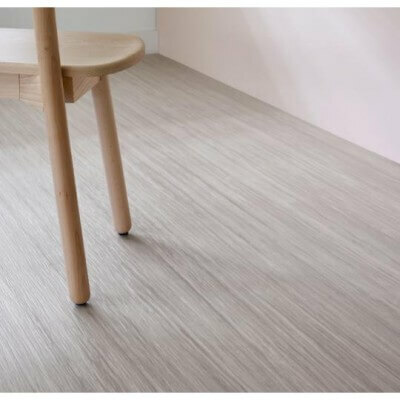 GLUE DOWN TILES: A little different than installing traditional VCT, PVC, Cork or Rubber Tiles, Marmoleum Tiles must be done in a very simple but specialized manner. They must be installed into the WET adhesive so people who install VCT are usually surprised that the floor installation fails in a few days because they ASSUMED it was the same. The other thing that is different is the need to use a 100 LB Roller rather than a 50, 60 or 75 lb roller that is typical in the industry. You can download plans to build your own 100LB Roller for free here. SHEET GOODS: A trained installer is usually the best bet when you want to install Marmoleum Sheet Material. Master Mechanics are actually often able to do some remarkable art work in the Marmoleum medium like water cut patterns, inlays, borders, stripes and swirls. 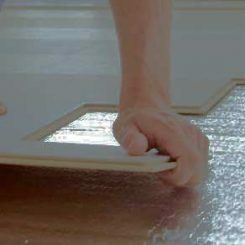 Lots of folks who are not trained can figure out how to install the floor themselves by reading the Marmoleum Glue Down Flooring Installation Guide and watching the videos. Knowing how to use scribing tools and how to make patterns can make the job a lot easier. I would absolutely not like to see beginners trying to heat weld themselves because it is so specialized and best left to the pros. What is the best way to maintain Marmoleum Flooring? Keeping a linoleum floor swept with a fine broom and spot cleaning occasionally is all that is needed for the most part. Many folks confess to hardly ever washing their floors entirely. It is really quite remarkable that the floor does not get dirty as fast as other flooring products because the linseed oil has a naturally bacteriostatic negative charge that prevents many things from adhering to the floor. Using a capful of Forbo PH Balanced cleaner and a damp mop is all that is necessary when the floor accumulates enough mess to require thorough cleaning. The introduction of TopShield II has brought a much more durable floor finish for Marmoleum onto the market, even for commercial spaces. Floors installed before 2013 will usually have TopShield I and may require that the finish be reapplied every few years depending on the amount of traffic and the level of care the floor receives. People have had to reapply their finish each year and other people have their floors down for 10 or 15 years with it still looking new. It all depends on the amount of care and traffic. It is far better than the wax and periodic stripping that was common for linoleum back in the first half of the century. Can I find Marmoleum at Home Centers like Lowes, Home Depot, Walmart or Menards? Big Box stores don’t sell Marmoleum. Is Marmoleum good for countertops? Linoleum is very commonly used as a countertop for desks, libraries and spaces where cutting on the counter would not be a temptation. While it is durable as a floor surface it may not be right for a kitchen counter for most folks, although many have learned to care for it and be careful with it and they enjoy a beautiful countertop aesthetic. 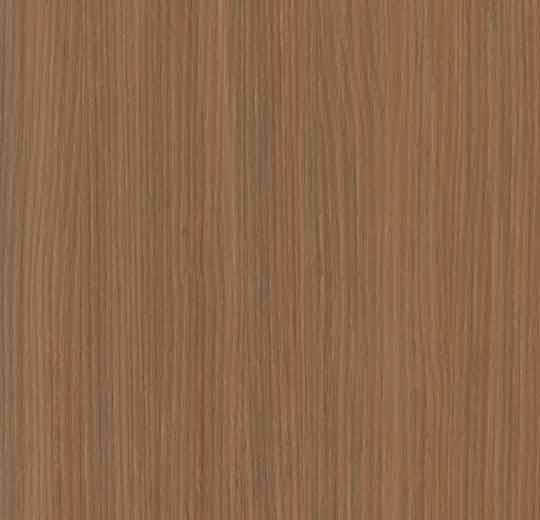 Can Marmoleum be used for wall paneling or wainscoting? 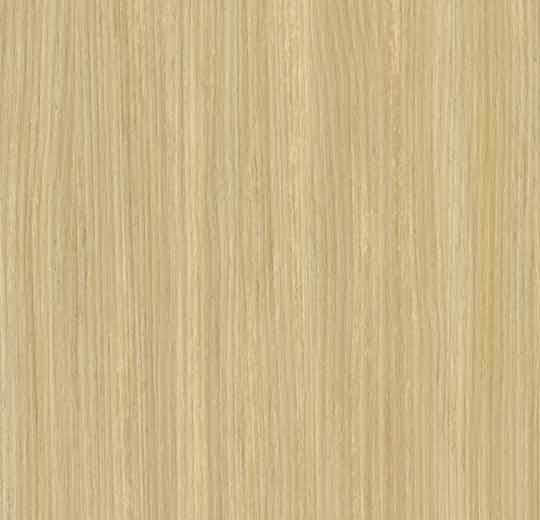 Absolutely, in fact many people have used the 12″ x 36″ click type planks as wall paneling below a chair rail. Hospitals will also often “flash cove” Marmoleum up the walls to create and easy to mop joint where the floor meets the walls. Fast food businesses across the country are putting the product in many of their dining areas as a sustainable building product option. 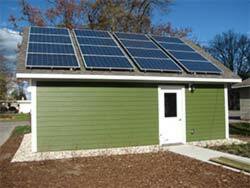 Repurposing is a major element in Green Building and Sustainable Living. Marmoleum Click snaps up in a flash and can be installed and removed over and over. Many companies use the product as their flooring of choice in trade show booths for that reason. People have also installed a new Click floor over a perfectly good apartment floor with the plan to take the floor up when they move. Is Marmoleum OK to use in commercial buildings? Many architects and designers specify Marmoleum for gymnasiums, hospitals , classrooms, treatment rooms, hallways, and offices. 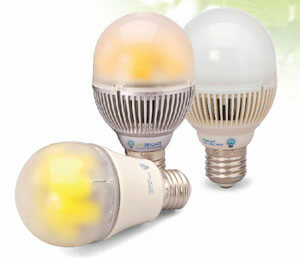 Durable, elegeant and natural it can be a great choice where all three are desired. The product will hold s up with a minimum amount of maintenance and can easily outlast linoleum and commercial carpet and in most cases it needs less maintenance. Can I install borders and inlays in my floor? Is Marmoleum a great kitchens? The kitchen is the perfect place for forbo marmoleum. It’s waterproof easy to clean and is easier to maintain then traditional linoleum. 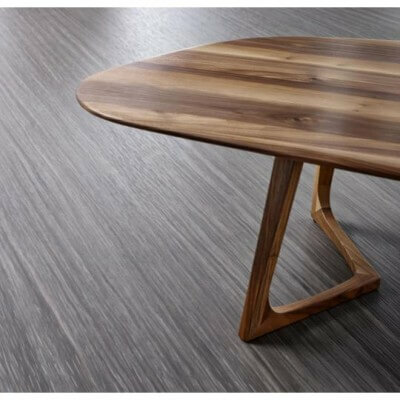 It also has a softer tactile feel on your bare feet then traditional vinyl or linoleum floors. Should I use Marmoleum in my bathroom? Yes, It is waterproof and durable and can make an average bathroom into something special. While it may require the making of a patter to get the fit just right, or perhaps the need to remove and reinstall the toilet, it is worth it. It is important to note that Click floors are just not appropriate for wet areas and shower rooms. Is Marmoleum the right flooring for my basement? First off, no matter what flooring you are installing in your basement, you should do basic moisture testing with relative humidity or calcium chloride testing beforehand in order to eliminate the opportunity for mold, mildew and humidity to create an indoor air quality issue. 85% humidity is the threshold for Marmoleum. How humid is too humid for Marmoleum installation? Floors over 85% humidity generally require some form of mitigation which might be a simply paint on finish if levels are under 90% while levels up to 99% generally require a specialty contractor to apply epoxy based coatings and to then encapsulate that coating with a cementious skim coat. There are really no other methods right now on the market to deal with 85% or higher moisture contents. Update 2015: Forbo now has come out with a 1195 adhesive that will allow installations over concrete floors with 11 pounds of vapor pressure and 95% humidity. While this product is a little spendy it combines moisture mitigation with the adhesive, combining steps and saving time and money. Is Marmoleum cool for the living room or bedroom? A beautiful and healthy option for your family and it can be combined with area rugs or throw rugs. 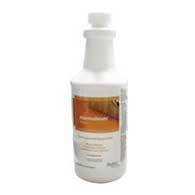 Many people have chosen natural Marmoleum after they have a brush with bad allergies or asthma. How long does Marmoleum last? Do you have recommended cleaning products for your linoleum products? Is Marmoleum easy to clean and will it hold up when if chemicals are spilled? Forbo Marmoleum products are subject to indicative chemical/stain testing in accordance with European standards. The tests provide baseline information on the effects of short term exposure to chemicals after cleaning and should be used as a comparative guide. If specific chemicals are of particular concern we would advise that the effects are checked by the client on a sample of the proposed colour and material in conditions representative of those that will be experienced in service. Is your Bulletin Board paintable? Yes. We would suggest using a water based emulsion paint, but would advise testing the application first for adhesion on a small sample of material. However, as the paint is going to be less flexible than the Bulletin Board, marks may remain visible in the paint layer. Forbo makes so many awesome linoleum flooring products, how can I ever settle on just one? Marmoleum Click: is the snap lock floating flooring that is perfect for any DIY installer with basic skills. 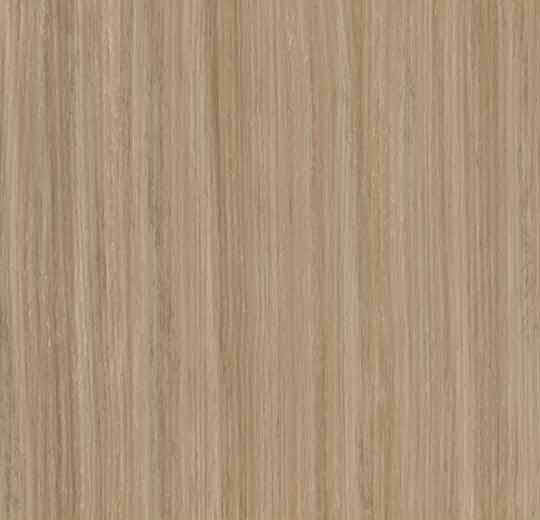 MCT Tile: is the thin linoleum tiles that just about anyone who has put down any tiles can manage. Sheet Marmoleum: is the glue-down heavy duty linoleum that we have all come to love for the last 150 years. The best part is that no matter what you select and for what specific application, they will all hold up well because virtually all their product’s surfaces are now coated with the revolutionary TopShield II finish. Please call us for quotes or estimates. 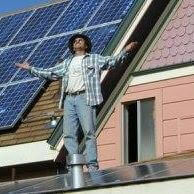 Professional, certified installers are highly recommended. Please ask for the nearest installer of Forbo Marmoleum Products. Forbo L885 Sheet & Tile Adhesive is a solvent-free acrylic polymer adhesive recommended for use with Marmoleum and all grade levels of concrete, as well as approved suspended wood floors. 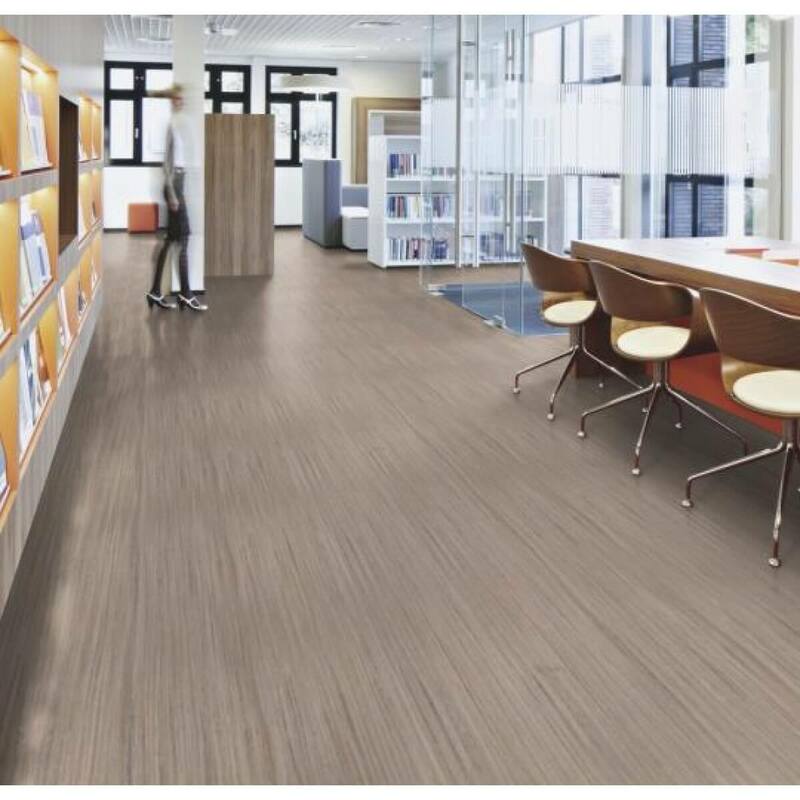 Marmoleum Heat welding Rods provide a watertight and hygienic seam, as well as a unique artistic touch. 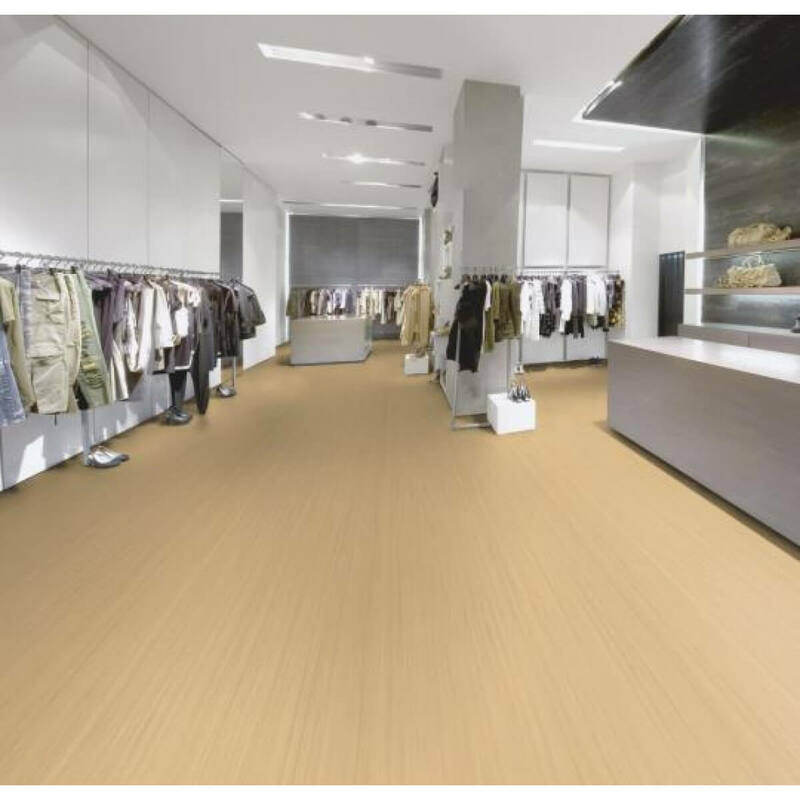 Marmoleum may be heat welded with either a matching solid color, a multi-color rod or a contrasting color welding rod. Marmoleum Floor Finish provides a beautiful, long-lasting, protective finish for all Forbo linoleum floors. Suitable for use on linoleum or any traditional vinyl floor covering, Floor finish makes cleaning easier and less frequent. Marmoleum Floor Cleaner is environmentally friendly and manufactured from renewable, non-toxic ingredients containing no Volatile Organic Compounds (VOCs). Marmoleum Floor Cleaner leaves behind a fresh, clean fragrance.